For over 30 years, William “Bubba” Ryan has owned and operated highly successful restoration companies. By the early 1990’s, Ryan recognized the need for significant improvements in the water damage restoration industry. As new technologies emerged and proper drying procedures developed, Ryan realized the need for major improvements as many companies lacked the ability to provide efficient and effective drying service. In 1995, Rytech, a “water only” mitigation company was borne. Headquartered in Atlanta, GA, Rytech has become a leader in the water damage restoration and mold remediation industry. From its humble beginnings in one location, the company has reached exponential growth and currently provides service to 49 major markets across 25 states. 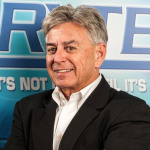 William “Bubba” Ryan is the Founder, President and CEO of Rytech, Inc. since inception in 1995. Prior to Rytech, Mr. Ryan owned and operated ServiceMaster Clean of Marietta, Georgia - a franchise of ServiceMaster. With 30+ years of experience in this industry, Mr. Ryan willingly and enthusiastically mentors franchise owners, as well as, others who are interested in learning about the insurance claims industry from the emergency mitigation perspective. He is a Certified Continuing Education instructor in multiple states across the US. Randy began his insurance career in 2001 as a Catastrophe Claims adjuster for State Farm Insurance, and transitioned to Farmers/Foremost as a Senior Field Claim Representative in 2003. In 2005 Randy joined Tower Hill Insurance Group, during his 8 years at Tower Hill Ins. Randy held various management roles in Vendor Management, Quality Assurance, and Home Inspections. Randy joined Rytech in 2013 as the VP of Business Development and was later promoted to Executive Vice President of Operations. Randy has recently been appointed as Rytech's Chief Operating Officer and will provide leadership and management of overall business functions of Rytech. His role as COO is in supporting organizational growth and stability at all levels including Service Delivery of Water and Mold, Training and Support, the Mitigation Data Specialist Unit, Client Services Agents, the Accounting Department. Overall, Randy will continue to maintain, promote and improve this great brand for future growth! Matt Shipp is Director of Operations for Rytech, Inc. and has been a part of Team RYTECH for over 20 years. Prior to Rytech, Matt worked for 13 years at Service Master of Marietta which was also owned by William Ryan. Matt is a co-owner of Rytech NE Georgia and Rytech Charlotte. Matt holds the following IICRC - WRT (Water Restoration Technician) and ASD (Applied Structural Drying Technician). Matt is responsible for day to day operational activity of the corporate office. During his career, Matt has been awarded Rytech’s Outstanding Achievement Award, Team Member of the Year Award and Franchisee of the Year Award. He is very proud to be a member of TEAM RYTECH! Steven Seabaugh joined Rytech as Director of Franchise Development in November 2013. His 30+ years in franchise development includes franchise experience with a number of retail and home-based franchise opportunities ranging from Paul Davis Systems, California Closets, CertaPro Painters to various others. Steven is directly responsible for all aspects of Rytech’s franchisee recruitment and development. David Ayers is the Assistant Director of Operations and has been with TEAM RYTECH since 2006. He has been in the restoration industry since 2003. As Assistant Director of Operations, David is responsible for oversight of field operations across the Rytech network and ensures the highest level of customer service and industry standards are achieved. He started with Rytech as a technician and worked his way up becoming a lead technician. He was later promoted to Operations Manager of Southwest Florida where he helped develop this location as one of the most successful in Rytech's network. Additionally, David is responsible for co-teaching the new franchise on-boarding class and helping to develop operations throughout the network. He is a Master Water Restorer through the IICRC, a state licensed mold remediator and assessor in the state of Florida, and holds CMR and CMA certifications through NORMI. David received the Team Member of the Year Award in 2016. Randy Arnold has many years of experience in water damage restoration and mold remediation and currently holds multiple certifications by the IICRC including WRT, ASD and AMRT. Since joining Team Rytech Randy Arnold has led our Atlanta Mold Operations, been highly involved in the development and implementation of training and safety programs, lead a Hurricane Matthew CAT response team, assisted with larger commercial losses, and as of recently has been performing Narrative Peer Reviews. In the Field Service Coordinator role Randy will continue to focus on further development and implementation of training initiatives, as well as work closely with our franchises throughout the network to promote growth, development, and consistency across the Rytech network. Angela Jones is Director of Administration and joined Team Rytech in 2008. She was promoted to her current position in June 2014. Angie is responsible for the day to day operations of the administration and accounting departments which serve the entire franchise network. She and her team work closely with all levels of management assisting in Rytech’s growth. In addition to claims intake and all accounting services this department offers support to sales and marketing, business development, franchise sales and IT support. Jessica Gravett started her career in 2009 at SERVPRO where she gained experience in water mitigation, mold remediation, fire restoration, and biohazard cleanup. Being part of the SERVPRO team meant stepping out of the office and in to the field assisting technicians as well as the fire cleaning team when needed. In 2013 Jessica moved to a small mitigation/restoration company where she was responsible for all day-to-day operations, managing both office and field personnel. In 2015 she joined Team Rytech beginning in the MDS Unit. In November of 2016 she was promoted to Client Services Manager responsible for insourcing the inbound claims processing from an outsourced call center provider. Jessica is responsible for establishing the Rytech National Call Center and Client Service Department including all inbound claim processing, real-time dispatching, and client support. Jessica holds IICRC certifications in WRT and ASD. Traci Hendricks began her career with Team Rytech in January 2010 with no industry experience. She began as the second dedicated Mitigation Data Specialist and since has become a valuable asset to Team Rytech. Traci holds IICRC Certifications in WRT/ASD and specializes in multiple estimating platforms. Traci has been promoted to the position of Team Leader of the Mitigation Data Specialist Team. Chris Alexander is a Mitigation Data Specialist Team Leader and has been with Team Rytech since 2012. She came to Rytech with industry experience in water, fire and contents damage. Chris holds IICRC Certifications in WRT and ASD. Carol Fischer Rogers joined Rytech, Inc. as Director of Strategic Accounts in 2009. She received her BA in Psychology from Purdue University and holds the following certifications by the IICRC – WRT (Water Damage Restoration Technician), FSRT (Fire and Smoke Restoration Technician), OCT – (Odor Control Technician), ASD (Applied Structural Damage Technician) and AMRT (Applied Microbial Remediation Technician). Carol joined the mitigation industry in 2000. She has served as National Accounts Director, teaches continuing education classes to insurance professionals across the country and has served as a presenter for PLRB conferences and a member of the Planning Committee. Dyan Kurtz brings an extensive amount of experience and energy to Team Rytech as Vice President of Business Relations. She serves on Rytech’s National Marketing Team and has been a member of Team Rytech for 10 years. She is co-owner of Rytech Southern New England. As Vice President of Business Relations, Dyan is responsible for growing new business and nurturing existing. She holds the following certifications by the IICRC – WRT (Water Restoration Technician), ASD (Applied Structural Damage Technician) and AMRT (Applied Microbial Remediation Technician). She has also completed the EPA LEAD certification and is trained in Subrogation I.
Dyan has been recognized as the Team Member of the Year in 2007 and 2012, and for Outstanding Commitment in 2010, 2011, and 2012. The Heart and Soul of Rytech! A unit of highly-trained, IICRC Certified Professionals in each Rytech Call Center. Managed by Chris Alexander and Traci Hendricks, this department monitors every claim throughout our network for accuracy and compliance with IICRC Drying Standards. All estimates are built within this department for final submission to the insurance carrier. Our Call Center located in Atlanta, Georgia provides a single source of contact for streamlining communication and ensuring effective cost and quality control. All intake, dispatch, estimates, billing, record-keeping, reports and cost information is centralized making information and customer service available at a moment’s notice.